What are the origins of animal sacrifice in the Bible? The ritual sacrifice of a ram is depicted in this third-millennium B.C.E. Mesopotamian mosaic. What are the origins of animal sacrifice? We know that many ancient cultures practiced ritual sacrifice, and ancient sacrifice in Israel was a part of religious worship at the Jerusalem Temple. While ritual sacrifice is now discouraged in many modern religions–with the ritual sacrifice now often represented by symbolic acts and gestures—ancient sacrifice in Israel and many other ancient cultures was a common part of religious worship. In his article “The Origin of Israelite Sacrifice,” William W. Hallo attempts to answer the question: “What are the origins of animal sacrifice?” For while ancient sacrifice in Israel was common practice, it wasn’t original to the Hebrews. Indeed, argues Hallo, the most convincing evidence of the practice of ritual sacrifice comes from the much older Mesopotamian civilization. In his article, Hallo discusses not only the evidence for ritual sacrifice in ancient Mesopotamia, but also some of the possible motivations for the development of such a practice. He suggests that ritual sacrifice to the gods in Mesopotamia developed as a means of justifying meat consumption by human beings–a privilege generally reserved for the elite of society–and that by the beginning of the third millennium B.C.E. ritual sacrifice was understood as a means of feeding the Mesopotamian gods. Ancient sacrifice in Israel was also a means of sanctifying meat consumption, but Hallo argues that it also took on several additional layers of meaning and significance. Ancient sacrifice in Israel was seen as a method for sanctifying certain human activities and as a way of imparting greater significance to certain rituals. Animal sacrifice was also a means of redress and was seen as a way of atoning for human transgressions. To learn more about ancient animal sacrifice, read William W. Hallo’s “The Origin of Israelite Sacrifice,” Biblical Archaeology Review, November/December 2011. Christ Jesus The Lamb of God was the final sacrifice for the atonement of sin. Isaiah 52 and 53 speaks of this final sacrifice for sin that the Father accepts. How can this be an article about biblical archeology without considering the Bible itself? Did not Cain and Abel live before Mesopotamia was even a recognized region, and certainly before there were pagan religions? Why was it that Cain killed Abel? Now I understand that many people groups came into being before the Israelites came into being as a nation. So in that context you could ask the question as to whether or not the Israelite practice of sacrifice was influenced by other cultures. But the origin of animal sacrifice clearly predates Mesopotamia if you are going to believe the Bible. “We know that many ancient cultures practiced ritual sacrifice”…animal sacrifice is very much alive today! If you eat meat and/or cook on a stove, aka a modern day alter, you are at least keeping the ritualistic part of sanctifying meat consumption intact. Nothing new under the sun except one’s perception. Only difference between 2017 and the so called ancient world is today we eat weeks/month old dead decaying animals (with preservatives) versus freshly killed and often young animals as in the scriptures. i need detailed number of animals sacrificed anually. Noach was told to gather of every clean animal 7 pairs, and of the unclean one pair. This implies sacrifices didn’t start in Mesopotamia. Noach was certainly not allowed to sacrifice any unclean animals to YHWH. Wow, what great comments made here. I have always thought this: whether its the Mesopotamian’s, Egyptian’s, or whateveramin’s, there was some attempt here to counterfeit the original and true sacrifice of Adam and Eve. The Bible does show that Adam was the first to offer Sacrifice to God. It was suppose to be like tithing. Adam offered up the best of his flocks to God for sin offerings. The Bible does not talk much about Sacrifice until Abraham and I would assume that all Prophets did Sacrifice even up to Noah but as you know, most people at that time fell away from the truth and only eight people were saved by water. The people from the Mesopotamian civilizations were children from – Noah – Ham, Shem & Japheth. Dr. Hallo should know that most of Noah’s children apostatized from the truth – refusing to harken to a true Prophet of God and most went there own ways, making up myth stories and chasing after there own strange god’s made of wood and stone. Man made god’s that didn’t talk back and tell them that they needed to repent of their sins and were doing wrong. They came up with their own traditions and they offered up their own sacrifices: food, animals even children or people to these pagan idols but the story of sacrifice comes from a well spring source of truth but it didn’t start in Mesopatamia. Abraham was instructed by Noah and his Shem about the true God and the true order and purpose of Sacrifice. Dr. Hallo insists that the practice comes from the older Mesopotamian civilization. However, Hallo fails to clarify that this Akkadian civilization was essentially Kushite and the Kushites originated in the Nile Valley, which is where the sacrifice of rams, bulls, and sheep originated. The Sacrifice of Ancient Israel started long before Abraham and his Grandson, Jacob with the 12 Patriarchs. 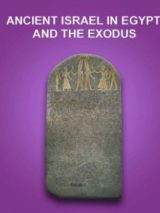 Moses later gave further explinations of the commandment and it’s use in the Torah because we have no proof that Israel did any sacrifice of any kind while in Egypt and may even have forgot the true way of worship through Sacrifice because many had fallen buy the wayside through idol worship -worshiping only the Egyptian gods. Moses by way of commandment from God, had to reteach and instruct the children of Israel about the true and living God, his nature, how to Sacrifice and the purpose of Sacrifice because many didn’t want to turn away from idol worship and come to the knowledge of the true God through Sacrifice. Moses and Aaron taught the purpose of Sacrifice and to continue the practice and how it should be conducted. Sacrifice started by way of commandment from God to Adam soon after leaving the Garden of Eden. The meaning of Sacrifice was God’s way of allowing his children to repent and be washed clean through the washing, anointing and blood letting process of accepted animals by the ones holding the Levitical Priestood of God through Aaron. This Sacrifice for Israel was to prepare them for the Holy Anointed One, The Son of God, the Messiah – who would take away the sins of the world and take those sins upon himself. Sacrifice was in similitude of the Holy one of Israel, the lamb of God – who was to take on the sins of the world – by so doing all people who come unto the Saviour and take upon his name, repent, are in so doing sacrificing their lives to follow God will be washed clean of sin through the blood of the Holy One of Israel and will prepare to meet God. Outsiders took this meaning in the forms of self sacrifice as in children sacrifice or in pagan worship and conterfeited the meaning given through the Prophets of Israel. I can certainly understand the excitements of the archaeologist and scholar when such a plethora of material has been unearthed in the 19th and 20th centuries from ancient Mesopotamia. With such discovery abounding we are sometimes intoxicated to the point of acting like a child in a toy store running from one shiny object to another, forgetting that all the toys came in on a truck from various factories around the world. So it is with the Mesopotamian artifacts. They may have been deposited and grown roots in the various cities but must we assume that they are the sole inventors? In the article “The Origin of Israelite Sacrifice” by William W. Hallo, he states on pg. 59 that “The Israelites didn’t invent it” that is, the sacrifice of an animal. Also in the caption next to the mosaic inlay on pg. 60 he claims that Israelite sacrifice and atonement evolved from the Mesopotamian sacrifices. The article is somewhat misleading to the reader. It is true in the respect that Israel as a named people did not come into play until Jacob, whose name was changed to Israel. Therefore they could not have been the originators themselves. But that is about all that is truthful. Even Jacob had ancestors, such as the blood lineage going back to Adam will show. Given that, I do not believe It goes far enough back in time; neither is it descriptive enough. For instance, where did the Mesopotamians come from? If you read their stones you will find the “Epic of Gilgamesh” or the “Enuma Elish” which give pagan accounts of the great flood and creation epics. These taken at face value seem to represent some fantastical ancient stories that find parallels in the Genesis accounts. That said, and knowing that writing was a learned art of communication, not practiced in the beginning, one must assume that the stories they etched in stone were of oral descent. The same arguments that are used to state the Bible’s account of beginnings were just orally transmitted from family to family can be used in these mythical writings as well. So which is correct? If, for whatever reason, you do not want to believe the Genesis account was faithfully handed down by a miracle working God who could see that what was passed to Moses was both orally correct and Supernaturally breathed out by God upon the mountain then you have to come up with another hypothesis. If you believe that the stories of half man and half creature beings mixed with demons and gobs of gods with multitudinous conflicting material accounts is the answer, then surely Mesopotamia was the place of beginnings. The author seems to follow the latter interpretation. If so, why? 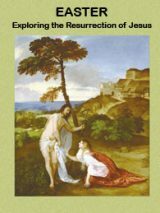 In Genesis 3:21 we clearly see the “First Sacrifice.” It was not made to provide food, but clothing to cover the shame that disobedience pictured in the nakedness of our first parents Adam and Eve–that, after their eyes had been opened to know what shame was. This sacrificial act of spilling the blood of an innocent animal to cover for sin became memorialized in the ancient culture from Abel’s sacrifice and onward even foreshadowing the sacrifice of Christ upon the cross, who also gave Himself, innocent though He was, as atonement for the shame of the sin of humanity. The story is awesome and could only be held together through a God of truth, who desired to always have a way to eternity open for all. In that Moses in the Torah refers to the original sacrifice to God concerning the sin of Adam and records the first murder in reference to Cain and Abel, and then for the rest of us, the sacrifice made by Noah after the flood, perhaps THESE are the origins of sacrifice IN MESOPOTAMIA, even if obscured in their falling into idol worship. In that the Bible is a collection of eyewitness testimonies, original and that taken from earlier affidavits, and Moses leaves a formula in two corollaries for accepting such, as “in the mouth of one witness shall no man be put to death, but in the mouth of two or more witnesses shall a man worthy of death be put to death,” and this being a Bible wide acceptation, including corollary one in the better translation of 2 Peter 1:20 which is, “this first knowing that every prophecy of scripture is NOT OF ITS OWN INTERPRETATION, and Jesus, protestation in John, where he said, “If I bear witness of myself my witness is not true, then why is Hallo discounting the Biblical account? Of course, I have not read his book and the reviewer may not have considered it worthy to include THIS obvious question, leaving me, unknowingly, to doubt Hallo’s integrity.